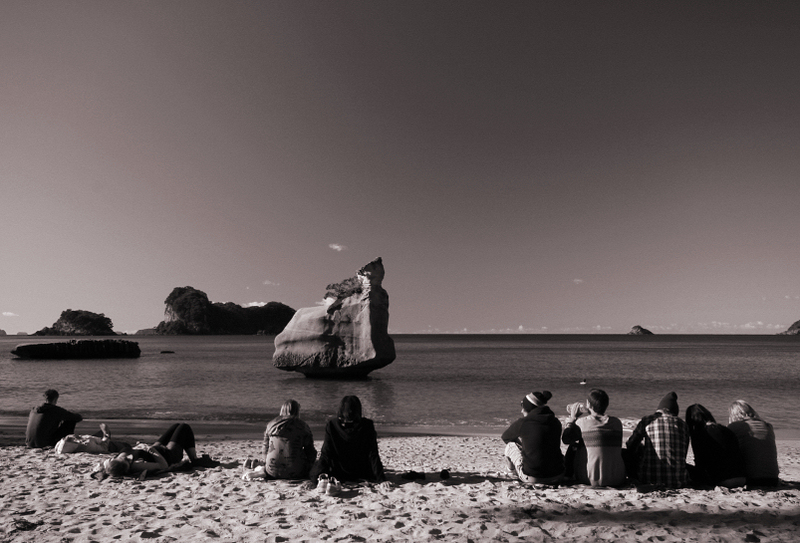 after putting up an engaging show, little rock and the south pacific at the mare’s leg cove near cathedral cove ended the day with gentle waves helped by a breezy afternoon and a clear blue sky. the packed audience reacted by giving a sitting ovation and demanded an encore. june 2010.